A number of Islamic State of Iraq and Levant’s (ISIL’s) top leaders in Mosul have escaped the city with their families, Iraq’s defense minister said. 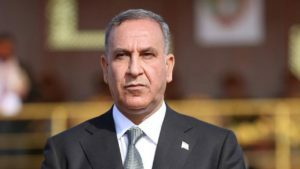 “Many Daesh (ISIL) families and leaders in Mosul have sold their property and sneaked out towards Syria, and a segment even tried to sneak out towards (Iraq’s Kurdish) region”, Khaled al-Obeidi said in a July 30 interview on state television. Al-Obeidi said he had intelligence of increasing conflict, especially over financial issues, among leaders of the terrorist organization. Thousands of ISIL jihadists remain in Mosul, the terror group’s headquarters in Iraq, but al-Obeidi said the number in likely under 10,000. Iraq is expected to mobilize up to 30,000 forces as it seeks to reclaim the city in coordination with U.S.-led coalition air support. Al-Obeidi said the biggest challenge will be protecting civilians, who he said number around 2 million. “We expect when operations begin in the city proper there will be large displacement. The smallest number we are expecting is about half a million people,” al-Obeidi said. The International Committee for the Red Cross says up to 1 million people could be driven from their homes in Mosul, and the United Nations estimates the number could be even higher. Ten million Iraqis require assistance, and 3 million (about one-tenth of the population) have been internally displaced.